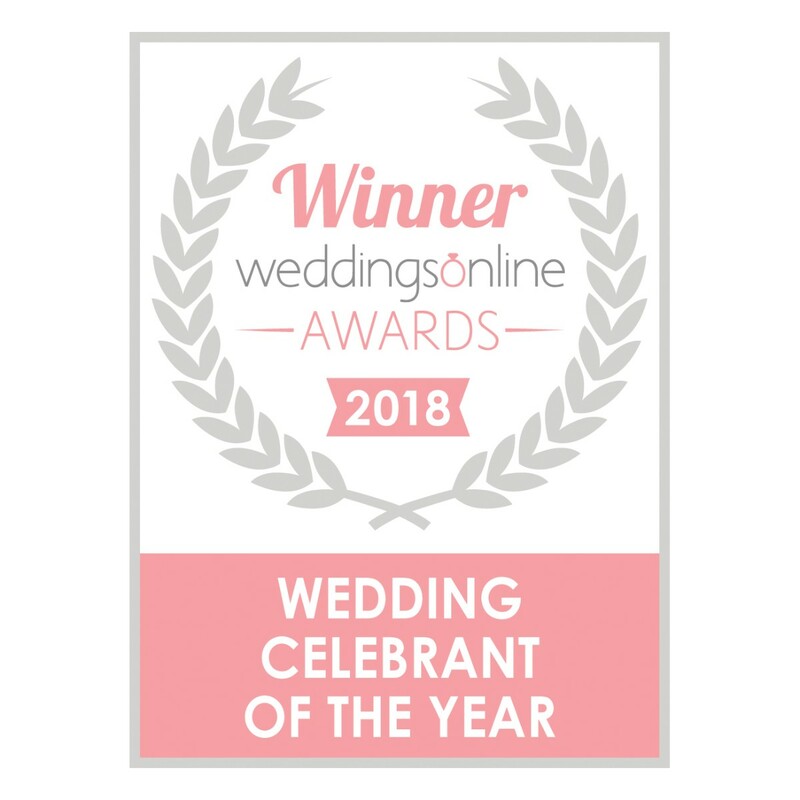 I am delighted to be the Winner of Wedding Celebrant of the Year Award 2018 with Weddings Online. 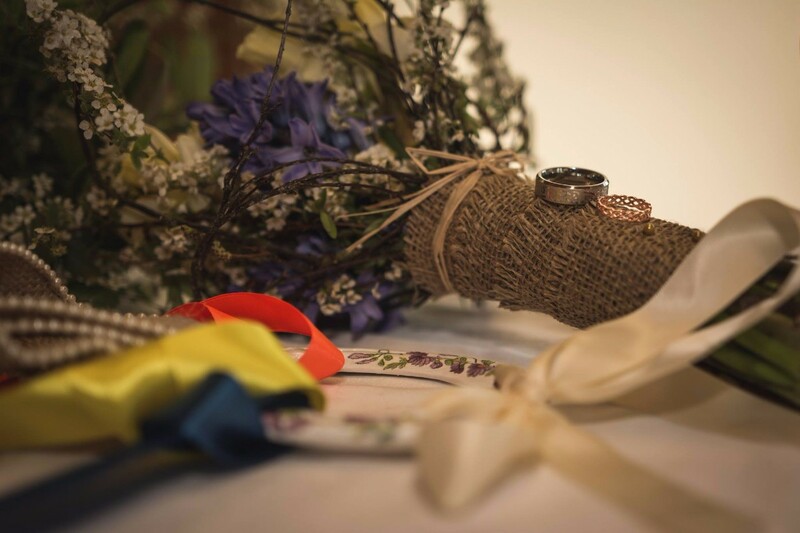 I will always endeavour to give you a Ceremony that you will love. 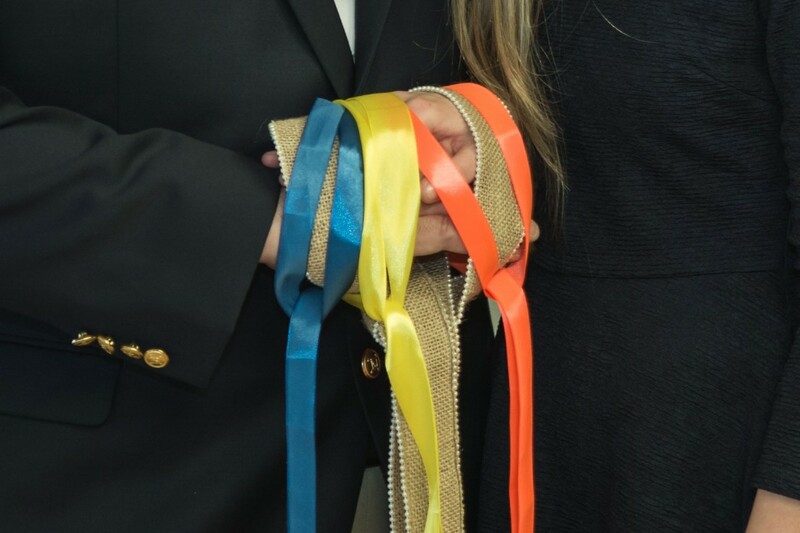 I am available for couples who enjoy the freedom of having their Legal Ceremony done with the HSE which then leaves them free to have their Ceremony when and where they chose. As a Celebrant, I can conduct Ceremonies in Venues and locations that are not always approved for legal ceremonies. I am available any day of the week, at any time. I can offer assistance on how to go about your Registration of Intent and how to book your Legal Ceremony. 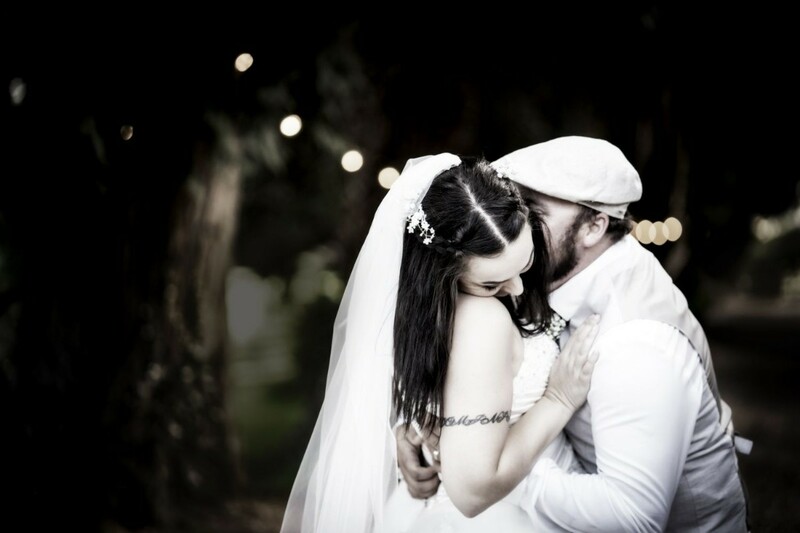 I firmly believe that your Ceremony should be warm and personal and reflect the love that you feel for each other. 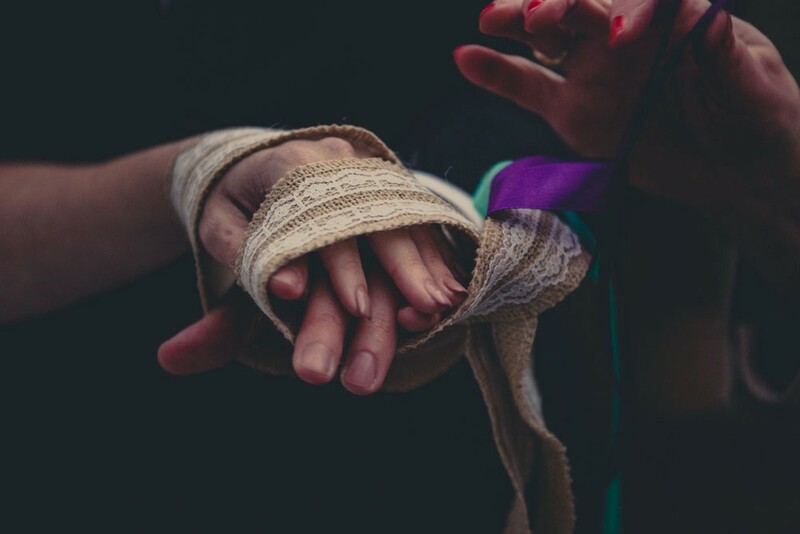 I offer all aspects of Wedding Ceremonies including Ceremony Enhancements like Handfasting or Unity Candle amongst others. 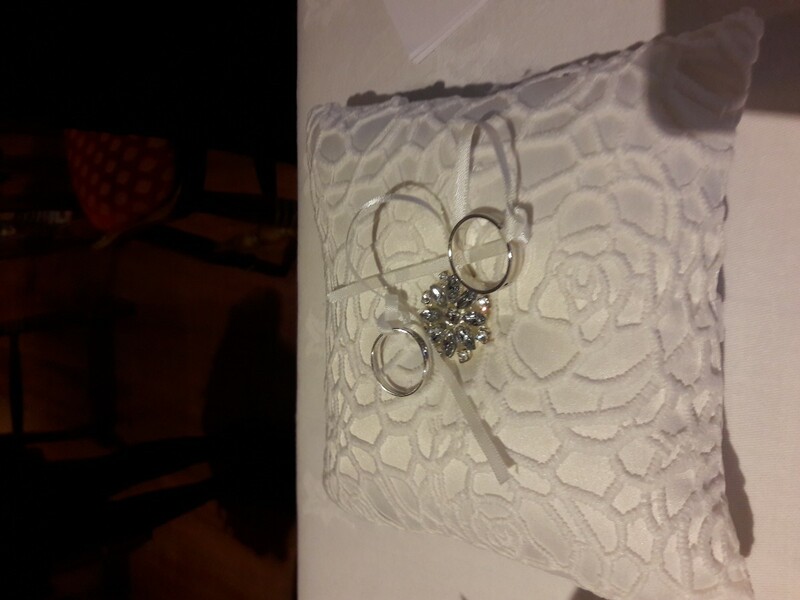 I work around what you would like to have included in your Ceremony. 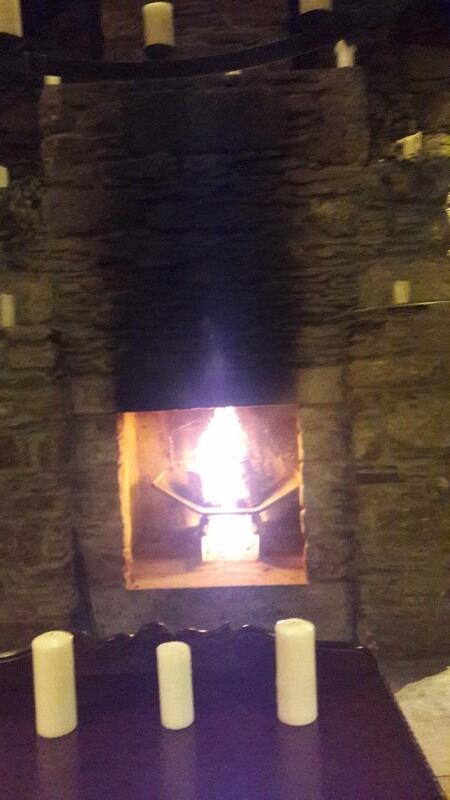 l am also available for Vow Renewals, Commitment Ceremonies and Baby/Child Welcoming Ceremonies. 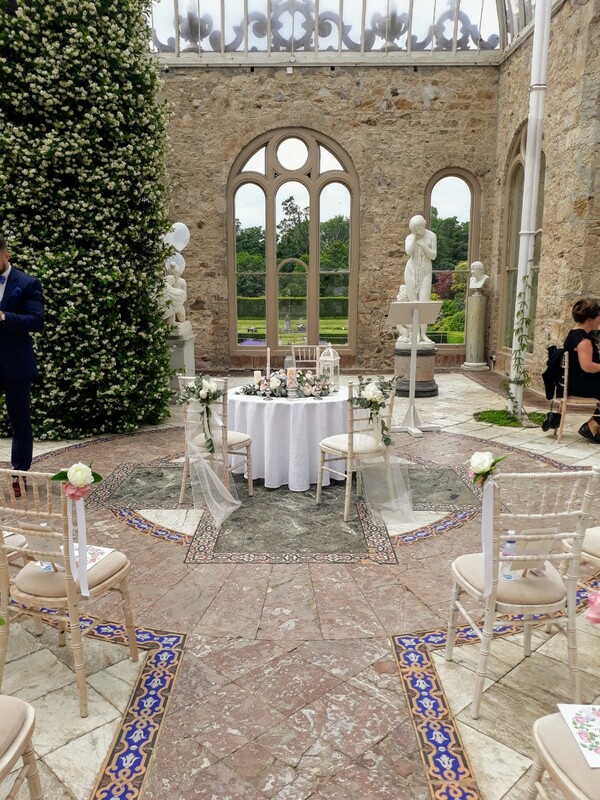 Wicklow Wedding Celebrant - Mary Grant is a Wedding Celebrant in Wicklow servicing weddings throughout the local area including Wicklow, Dublin, Wexford, Louth and Kildare.. 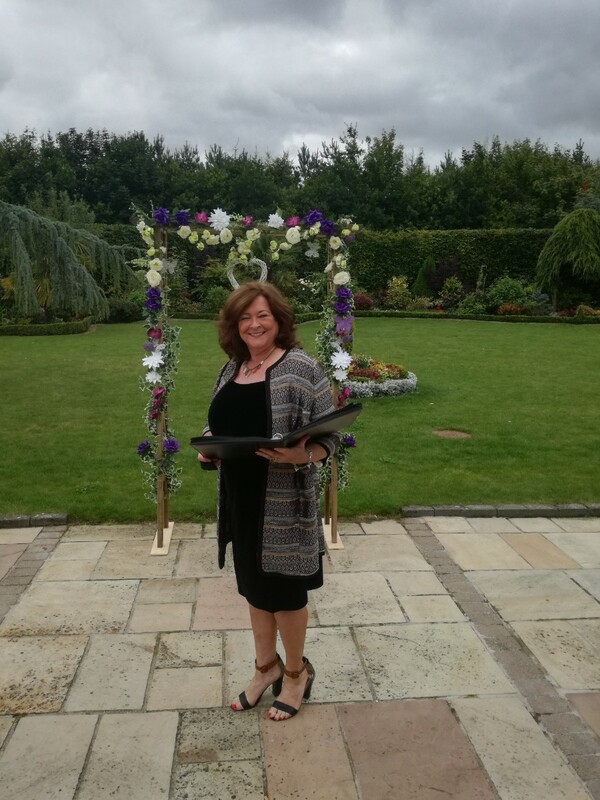 Wedding Celebrant - Mary Grant is a professional Wedding Celebrant who has been part of the Irish Institute of Celebrants industry since 2015 specialising in personal, civil, wedding ceremonies that can be traditional or modern. Mary was the best! 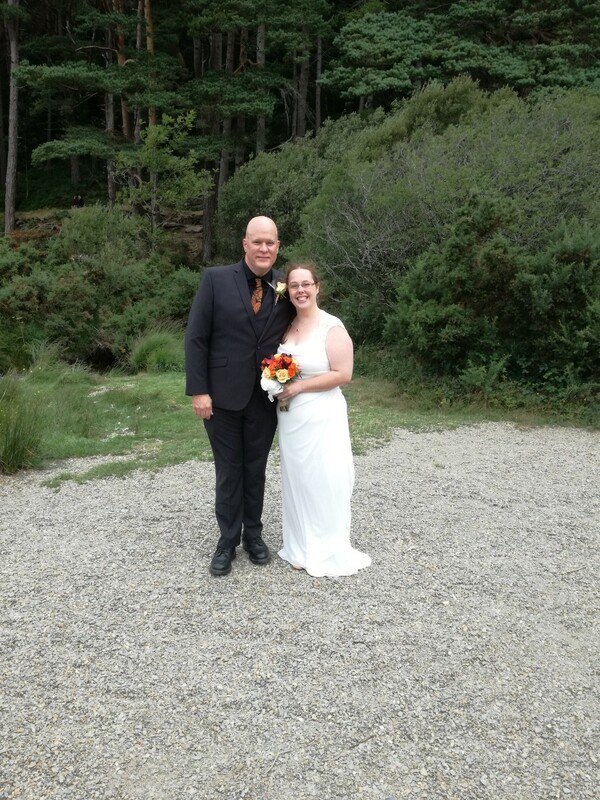 My wife and I decided to get married in Ireland without knowing anyone and we're so glad to met Mary. From our first Google Hangout, we knew we'd love to work with her moving forward. Mary was super responsive to all our emails / questions. She also gave us great advice along the way and really made our big day special. All of our family and friends that flew over had rave reviews on how well Mary did. She is a true professional and would definitely recommend her to anyone looking for someone great to work with for their wedding day! Gary and Suzie, it was an absolute pleasure to work with you both and be a part of your Special Day. I am glad you and your family and friends enjoyed the Ceremony. Thank you so much for this Review. I wish you both the very best of everything for the future. I am delighted to have met you both. Going to miss all those emails and conversations across the Atlantic. Mary was absolutely wonderful before, during, and after our ceremony. She was cheerful, helpful, and just an all around pleasure to work with. We would 100% recommend her to all of our family and friends. Amanda and David, thank you so much for your lovely review. It was a privilege to be a part of your Special Day and a pleasure to work alongside two such lovely people. I am delighted that you were happy with everything and that you had a great trip around Ireland. I wish you both continued happiness for the future and that your lovely words of romance will always be there between you. Our experience with Mary was fantastic from start to finish. Mary took the time to get to know us ahead of our big day, over Skype calls no less as we were planning our wedding from New Zealand. Communication with her always went well, and her personalisation of our ceremony around our individual love story was a joy to experience - our guests gave us so many compliments about this. She was a pleasure to work with, and were so happy we went with her. We would happily recommend her to anyone looking for a celebrant. Mary played an integral part in our day and yetdid it in such an experienced way that it was never about her or her input but rather about us and our message, our children were involved in all aspects of the day and it was such a emotional day for all of us, Mary minded us all, produced the tissues when needed, the words of comfort or encouragement when appropriate and despite the tears everyone left with a smile and happy memory as well as complimentary words about Mary. I could not recommended Mary enough, she listened to our hopes for the day and without polluting our message she put a structure on it while keeping the sentiment we expressed to her and somehow managed to conjure a ceremony out of it!!! Was extremely responsive and patient with us and so so kind. I can honestly say our day would have been only half the day it was had Mary not celebrated our ceremony with us, she is the very best! Hi Geraldine and Darren. Thank you so much for your lovely Review. I really appreciate it. I hope everything is going well for you both and your family. 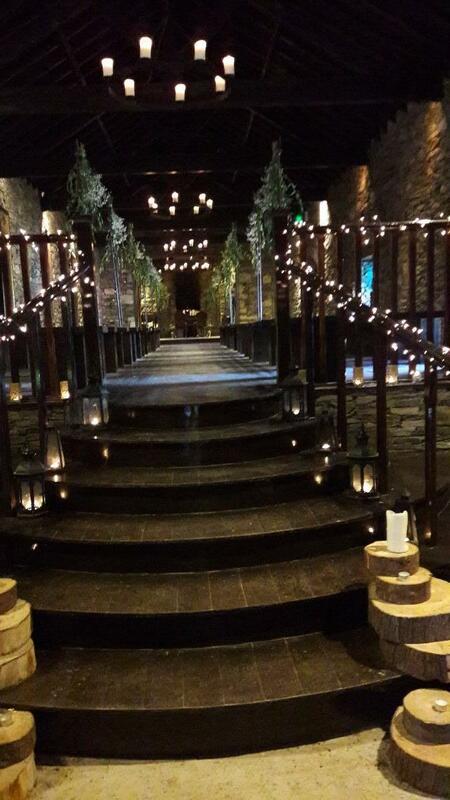 It was an absolute pleasure to work with you in preparing your Ceremony and to be a part of your day. You are a great couple. I miss our chats Geraldine. Mary Grant is an amazing lady. An extremely professional celebrant who kept us up to date on everything that was happening behind the scenes before the day and even though the heavens opened during the short ceremony at the lake she kept her composure ..the atmosphere was great and we all had the best fun ever. In short.. Mary made the day with her professionalism and lovely bubbly personality. We are so happy that we went with Mary for our Wedding Ceremony. From the very beginning when we first met Mary she was so friendly and made us feel so comfortable with her. Mary went through every detail of what we wanted to include in our ceremony from start to finish and she even made lots of suggestions about what we could include. From our first meeting all my stress was gone as I knew I could trust Mary to create the ceremony we wanted. Mary then emailed me a draft of the ceremony and made sure we were happy with the finished product. Mary was so helpful throughout the process, if I emailed her she would always get back to me very quickly and before the day she sent me a reminder of what I needed to have. We had an amazing day, Mary made the ceremony so personal to us and that's what made it so special. Everyone at the ceremony commented on how lovely it was and how Mary delivered it so well that you really knew she cared about making it special. 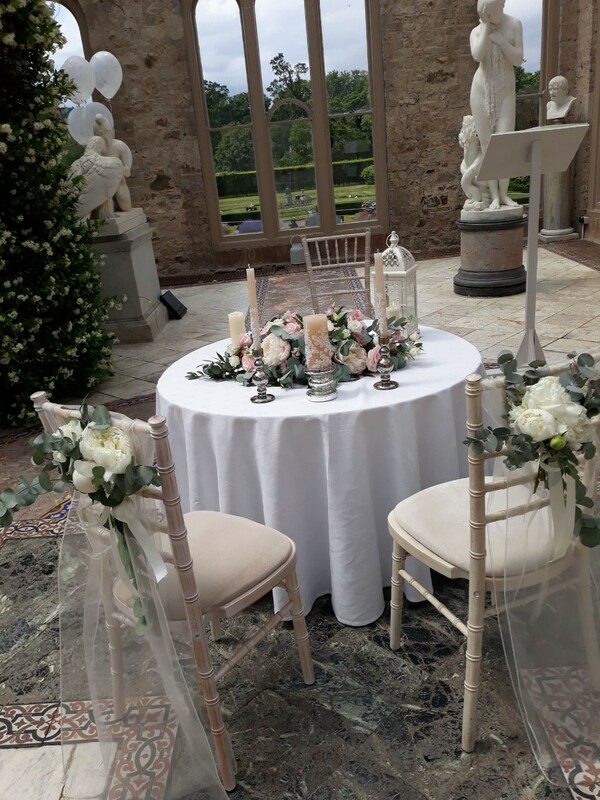 We cant thank Mary enough for all that she did for us and I would highly recommend anyone looking for a celebrant to contact Mary, we are so happy that we did and it is a day we will never forget. 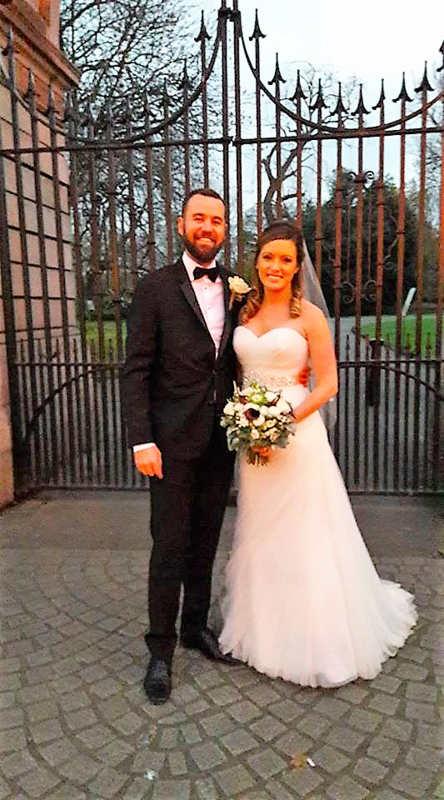 All I can say is if you are looking for personal and perfect, Mary is the lady to preform your ceremony, we couldn’t have been happier with her from start to finish she was fantastic. She explained everything to us so that we weren’t as nervous as not having a clue what would happen where we knew everything which helped so much. I would highly recommend Mary for your big day she made our day so so special and perfect with not a dry eye in the house ???? 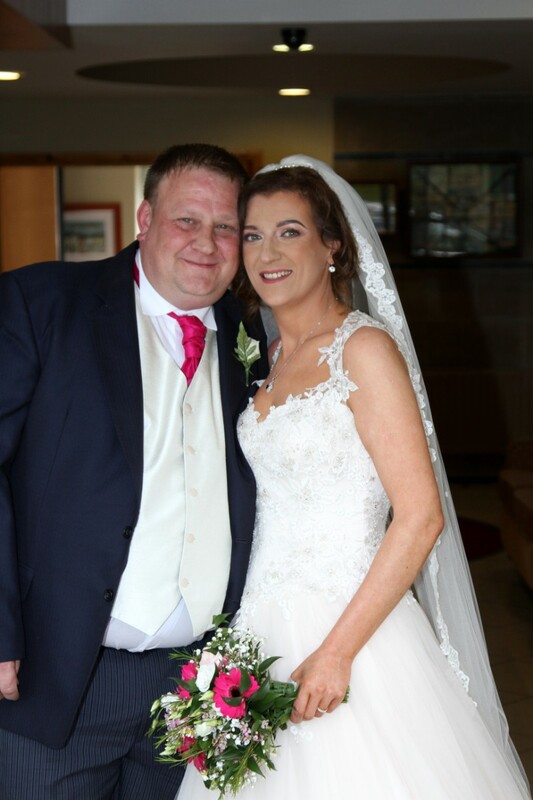 We could not recommend Mary enough, she is a beautiful, genuine, loving person and that shone through in our ceremony. Loads of people said it was the nicest wedding ceremony they had ever been to. Mary was always on hand to answer any questions and even helped out with writing some of our ceremony which was a great help. 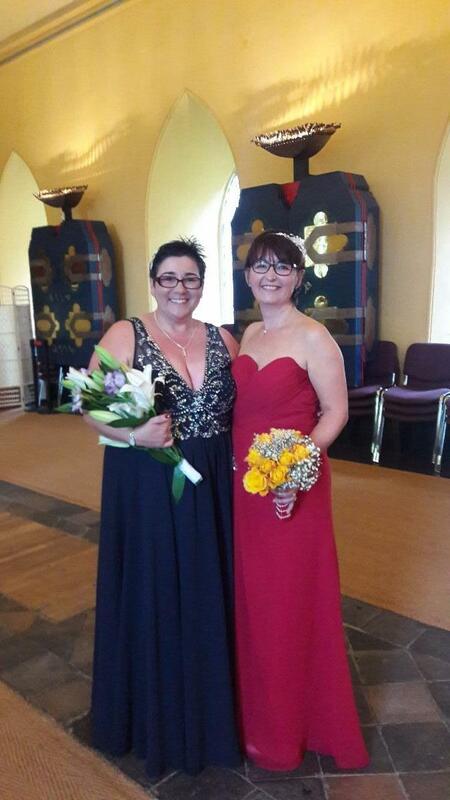 If you are looking for a personal, warm, relaxed and really enjoyable ceremony Mary is your woman. Mary was absolutely wonderful. She was the perfect person to marry us. Mary was such a wonderful addition to our surprise wedding in Ireland! Coordinating and planning this surprise from the states was not the easiest thing, but Mary was so helpful & accomodating - we couldn't have had a more special moment if we tried. Mary was a critical part of that. She was always responsive, she helped in coordinating with venues, she was passionate and so excited to be a part of our day. We would recommend her without hesitation any day and couldn't be more thankful for a joyous and stress-free occasion!! 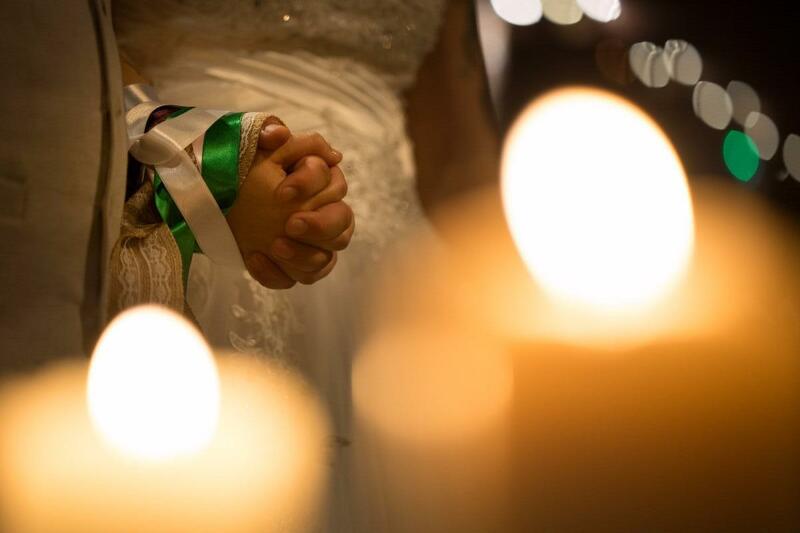 There are not many words I can use for Mary, she stole our hearts on our wedding day. 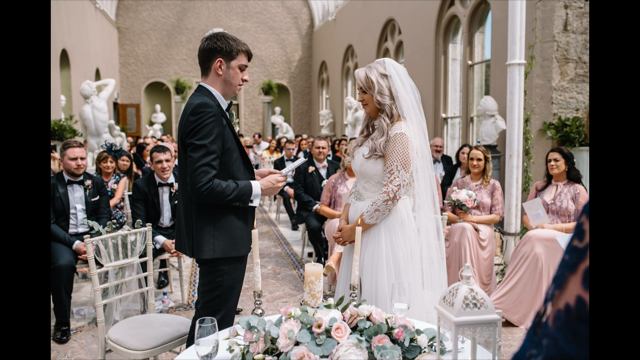 Mary did our Ceremony in the beautiful setting of Carlingford Co. Louth on September 20th 2017 and was one of the kindest most professional ladies we dealt with all the way through from last year right up to the day itself. When we saw Mary's profile online, we knew instantly that she was the one or us. Mary made the day so easy for us, and was an absolute joy to have on our Wedding Day. She made the Ceremony ours, and was probably the best one our guests have ever heard. There was such passion and love in the way she performed the Ceremony, she melted their and our hearts. 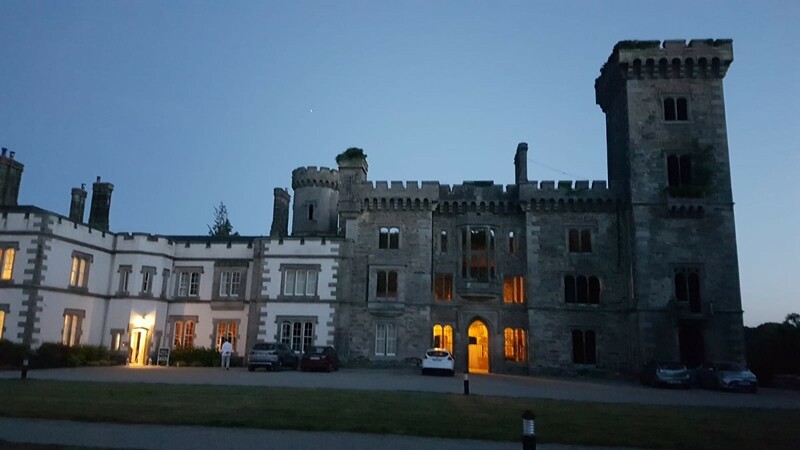 Please give Mary a call, you will absolutely NOT be disappointed, at least look at her comments and photo’s on her Facebook page - https://www.facebook.com/wicklowweddingcelebrant and this will definitely make up your mind. Mary Grant is an absolute treasure in the world of Weddings, give her a call today, she will put you at ease straight away, and you won’t look any further. Couldn’t have done it without you Mary, you really are one in a million, and God bless you. 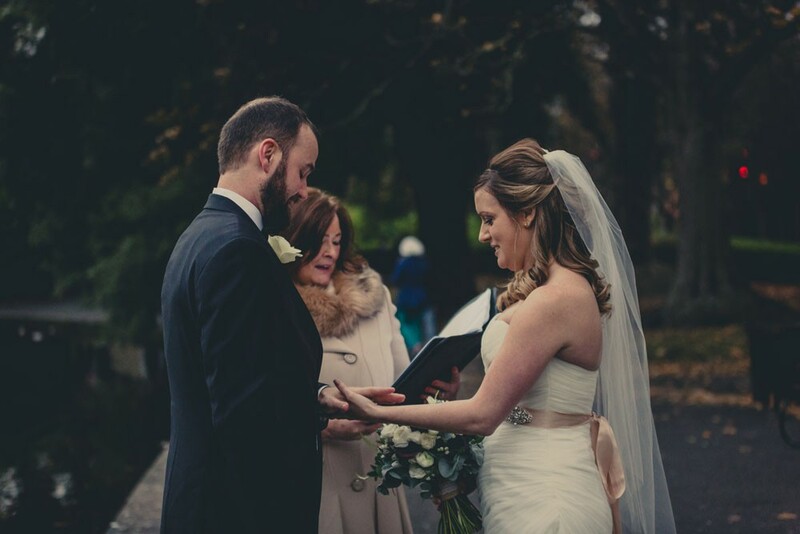 We would absolutely recommend Mary Grant as a wedding celebrant with no reservations. 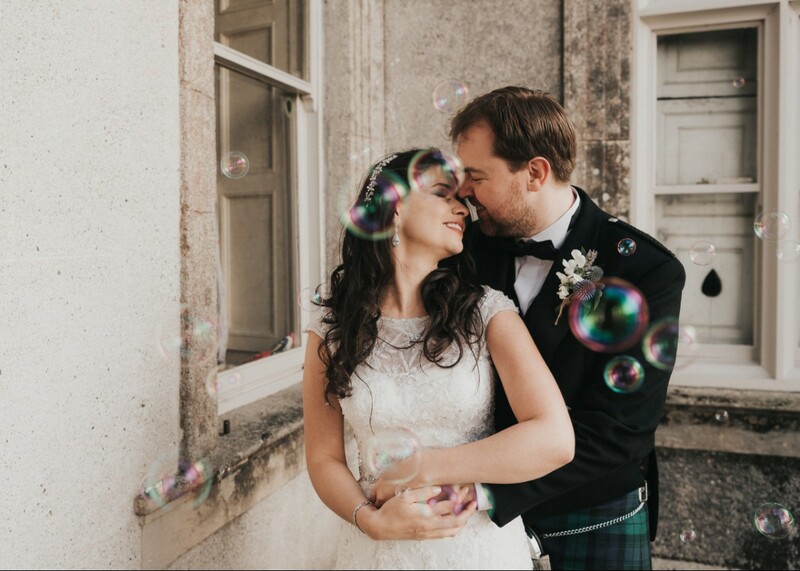 Our elopement required some unique challenges and last minute changes and Mary calming and masterfully rose to the occasion to exceeded all of our needs and expectations. Her warm and joyful embrace elevated our unforgettable ceremony and we are extremely grateful for her presence, collaboration and kind words. Erin and Kyle thank you so much for your lovely words. It was an absolute pleasure to be involved in your Special Day. Even though your trip to Irelabd was a whirlwind hopefully the memory will remain in your hearts forever. Good wishes always. 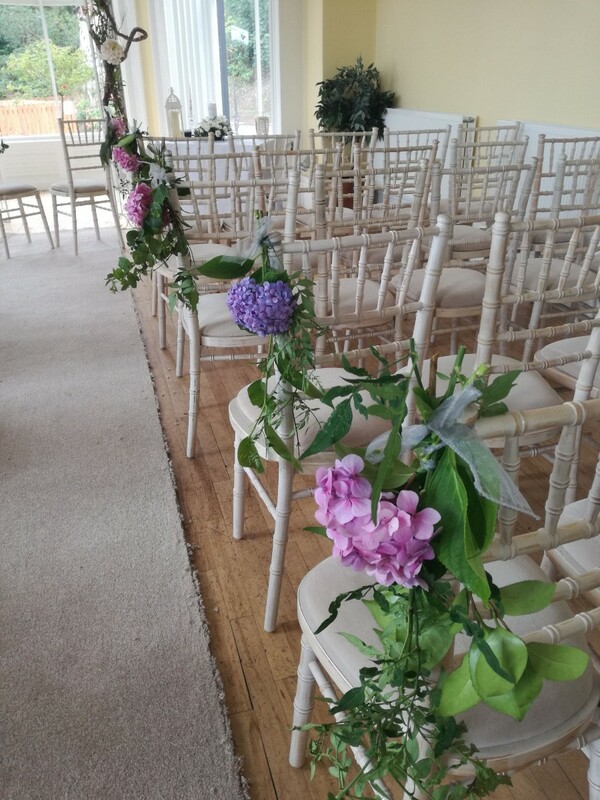 The wedding celebrant Mary Grant, was warm and kind and made us feel wonderfully at ease, she was professional and personable and made the ceremony magical. I would highly recommend Mary to be part of any brides wedding day. Mary was extremely friendly but professional, making the atmosphere of the service relaxed and emotional. Mary made sure that all the guests and bridal party were comfortable and was a delight to talk to. 10/10 would recommend Mary to anyone looking for a celebrant!